The importance of keeping good records should never be understated. Business revolves around numbers – from overheads and expenses to budgets and sales figures. Yet these aren’t the only essentials – revenue, inventory costs and your budget will also contribute to the firm’s financial position. As the day-to-day running of the business typically takes priority, many small business owners forget about the bigger picture. But every once in a while you will need to take a step back to make the big decisions. These decisions can put a huge amount of financial stress on a business, so knowing what’s going on by keeping good records is essential to help make the correct choices. However small your business transactions are, all of them should be recorded. Having this information to hand can remove the risk of potential penalties or fines. While storing receipts might help, it can take a long time to go through them when you need a specific one. If you have an automated system however, it can simplify the process and save you plenty of time. Keeping records helps with the tracking of payments from customers as well; this is vital for small businesses that rely on every order. Ensuring payment is a vital process that all business owners should not forget. Businesses are required to meet a myriad of legal and financial requirements. Where tax liabilities are concerned, knowing how to extract profits from the company is very important, because if you fail, you will get a substantial fine. This covers loans, salaries and dividends – they all should be calculated after tax from the profits of the business. Dealing with the administration side can help the company avoid any unnecessary payments (or fines), becoming more cost-effective in the process. Paying bills and filing tax returns should be a priority, and if your accounts are well organised, it should be a relatively easy process. If your business’ turnover surpasses £81,000, you must keep quarterly VAT returns to make sure the payments of all liabilities are met. In certain extreme circumstances, not meeting these deadlines could mean the end of the company – so make this a priority for both the short and long-term. 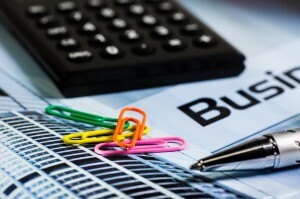 If you need some help managing your business accounts, an accountant may be able to help. To find an accountant in your area, please use our advanced search tool. Read and comment on the original Small Business article.